Mankind offers support to men who have been sexual abused. Call 01273 911680. 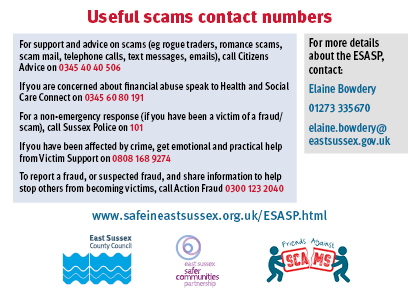 The Saturn Centre, the Sussex Sexual Assault Referral Centre, offers free support and practical help to anyone in Sussex who has experienced sexual abuse. If you would like to speak to someone the Saturn Centre is available 24/7 on 0800 033 7797. Both Victim Support and Citizen’s Advice Bureau offer support around sexual harassment.